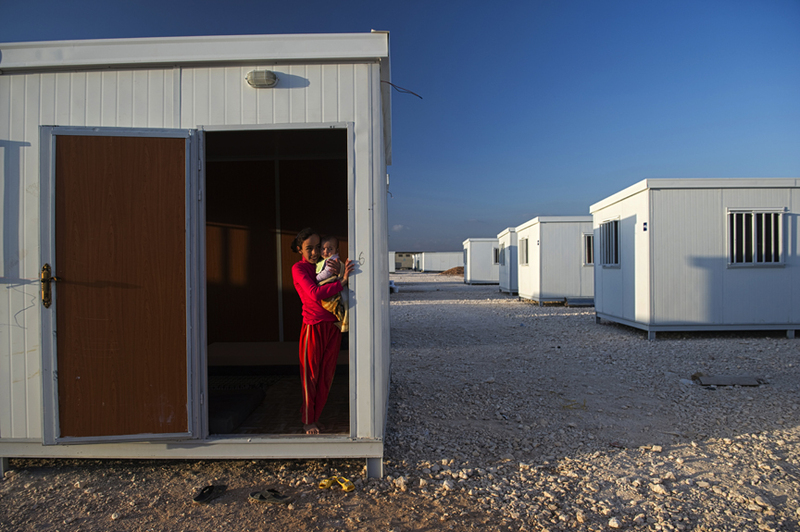 A Syrian girl holds her sister while standing in the door of the trailer alotted to her family earlier that day by the United Nations High Commission for Refugees at the Zaatari refugee camp in Jordan, April 7, 2013. Roughly 100,000 Syrian refugees live in the camp, and of those, only about 6,000 have been given trailers as opposed to tents. More and more Syrian refugees arrive each day through official and unofficial border crossings between Syria and Jordan as the civil war in Syria enters its third year. The United Nations estimates that the number of Syrian refugees living in countries bordering Syria is currently over one million.